I have had my eye on VITASTIK Vitamin and Essential Oils Diffusers for a while now. 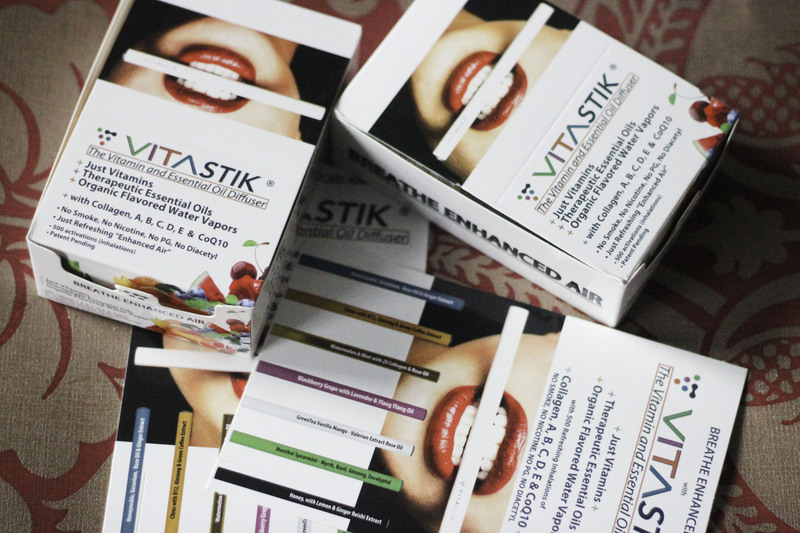 I previously reviewed some VITASTIK Vitamin Vaporisers some months ago. I reviewed the Energize, Grace, Refresh, Calm and Relax flavours, and I must confess, I was blown away by how amazing they were. It is indeed the Holy-Grail of Vaping and Diffusing. So when I had another opportunity to review the new flavours, I grabbed the offer with both hands. The science behind these VITASTIK Vitamin Diffusers is simple – a Smoke-Free, Nicotine-Free, PG-Free and Diacetyl-Free, Organic Based Product. The first and only product (at the time of writing) that can boast of all these in the market today. And made from something we use everyday, something that makes up over 60% of the human body and over 90% of plants….WATER! It is a healthy way to vape, which is how the brand got the “If you wouldn’t Eat it, then you shouldn’t Vape it !” motto from. 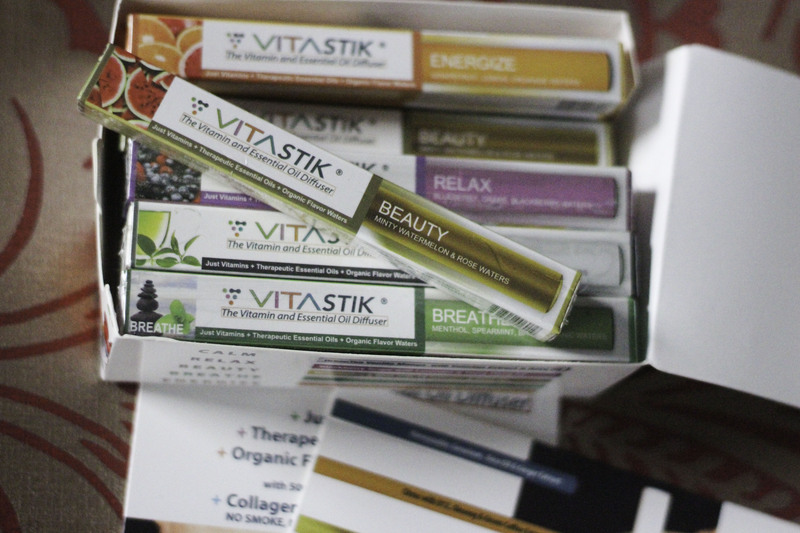 All “USA” made VitaStik’s contain roughly 1 recommended daily intake of Collagen, Vitamin A, B complex, C, D, E & CoQ10. The flavours I received are – Energize, Beauty, Relax, Calm, Breathe, Handsome, Amore, Sleep, Tonic and Flora. I love the packaging. It is very colourful, pretty and compact. Easy to carry around discreetly if needed. I like the variety of flavours. There is a flavour for everyone. I love the fact that this can be described as organic vaping. It sounds a lot healthier than other ecigs in the market. Most of the flavours names are different. I like different. 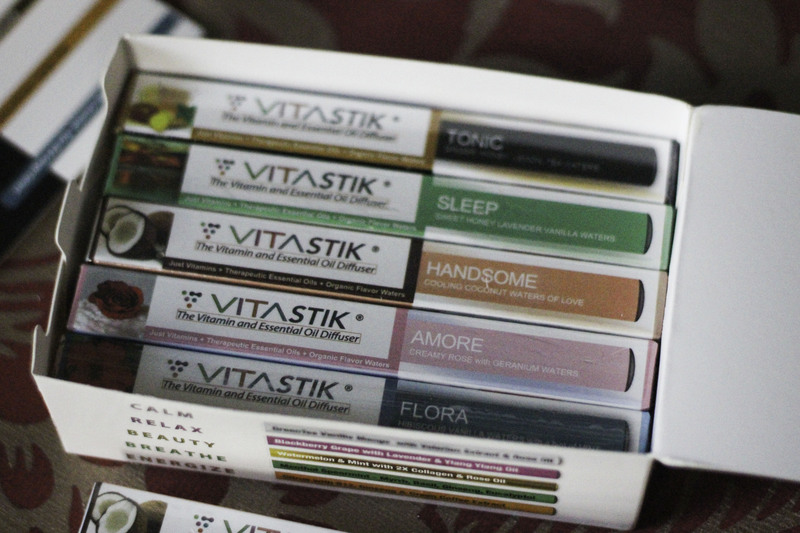 I also like the name – VITASTIK (Vitamins in a stick). They smell fab. The names represent exactly how each flavour makes you feel. You don’t need a lighter, it lights up as soon as you drag on it. 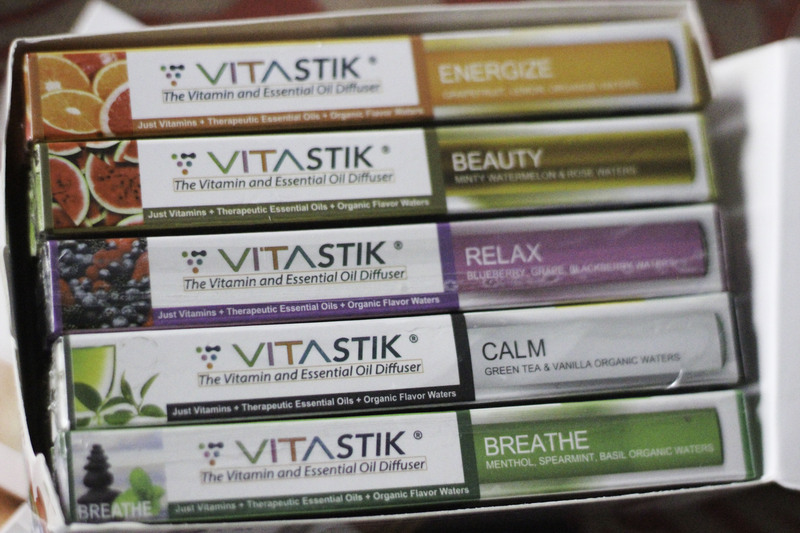 I like the fact that vitamins, therapeutic essential oils and organic flavour waters are the only ingredients in these VITASTIKS. You don’t have to deal with smoke or bad breath, it is all VAPOUR.